In the latest edition of the world’s leading football publication, FourFourTwo magazine, Liverpool & England striker, Daniel Sturridge (see below image), explains how the Coerver® Coaching programme helped him to develop his technical skills as a young player. The twenty four year old Birmingham born forward, has had a fantastic season to date for Liverpool and England and is currently the second top goal scorer in the Barclays Premier League with 16 goals, which also makes him the highest scoring English player in the league. The below extract is taken from an interview from the March 2014 edition of the magazine within the Performance section titled “Daniel Sturridge Masterclass – Run Rings Around The Opposition”. Sturridge explains “My dad made me watch old Betamax video tapes that focused on skill and technique. It involved a Dutch coach called Wiel Coerver. He was in charge of Feyenoord in the 1970’s and he created the Coerver Coaching technique”. “In terms of dribbling, it focused on mis-direction, so the defender moved one way and you would go the other. its things like the Matthews move, the Rivelino move and the Maradona move, I used to practice it all the time in the front garden”. 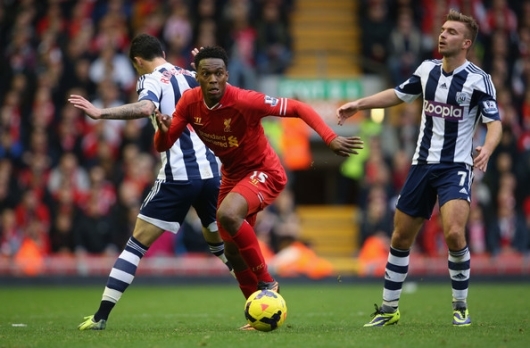 Sturridge goes on to explain the importance that he places on working hard to continually develop his skills and said “If you want to be a great dribbler, or great at any aspect of the game, you have to work hard. It doesn’t just happen overnight, you have to work at it and train hard. Even when I was six years old playing at Cadbury Athletic, the coach worked me on my skills”. “I still do that to this day, I want to develop every part of my game. It’s important to realise you can always get better. You should never feel you are the finished article, because that is a backwards step”. 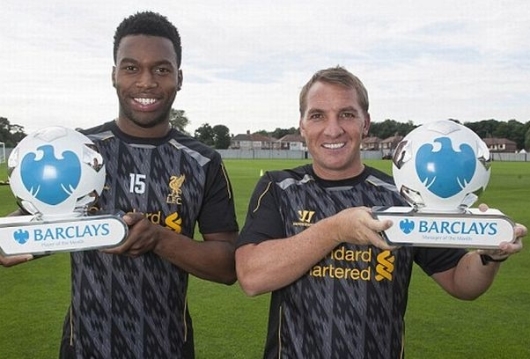 Liverpool manager, Brendan Rogers (see below image with Daniel Sturridge with the Barclays Premier League Manager/Player of the month awards for August 2013) has been delighted with the development made by Sturridge this season and said “Daniel’s form has been terrific, he has a natural instinct for the goal. I’ve seen that in him since he was a young player. He is outstanding in one v one situations, and he’s up there with Luis Suarez as the best finisher in the league”. Coerver® UK Director Scott Wright said “It is fantastic to hear a current top player such as Daniel Sturridge talking so positively about how Coerver training helped him to develop as a young player. Having listened to Daniel’s comments about his early development and then observing him in action now, it is clear to see that he is very proficient in many of the technical skills that we focus on within the Coerver programme”. “Although he seems to prefer his left foot, Daniel is very able on his right side too. Having the ability to use both feet is a key attribute in the modern game and gives you many more options in game play which has been highlighted by the many different types of goals he has scored this season”. “This is certainly a problem area for English players and can only be achieved through thousands of hours of focused repetition, working your right and left foot equally. This is something that we are very focused on when working with young players, especially in the “golden” development years between U7-U12″. “It is clear from Daniel’s own experience as a young player that he has gone through that development process and is now reaping the benefits of the technical foundation he has worked hard to develop since an early age”. “He is also fantastic at manipulating the ball and his excellence in 1 v 1 situations was highlighted as a key attribute by Brendan Rogers. Both are fundamental development priorities within the Coerver programme and when you add his athletic ability and his finishing prowess, he has all of the attributes to get to the very top of the game”. “He has many years of development and improvement ahead of him which bodes well for Liverpool and England and he is one of the few current English players that can perform these skills effectively in the game with both feet, at speed, under pressure and often in tight spaces. With teams being so organised now, having individual players that can create something for themselves out of nothing is vital”. “Daniel definitely has that in his locker and I hope he gets the chance to showcase his obvious talent for England during this Summer’s World Cup in Brazil”. “I also particularly like his comments on working hard with the ball and never being satisfied with your current level of ability. No matter the level you are at, you can always improve. That is the exact focus and mind-set that we try to instil in the young players that come to us at Coerver and added with hard work and dedication, the sky really is the limit, both on and off the pitch as Daniel has proved”. “He is certainly a great role model for all young players to follow and I’m delighted that he feels Coerver training has been beneficial to his development”. 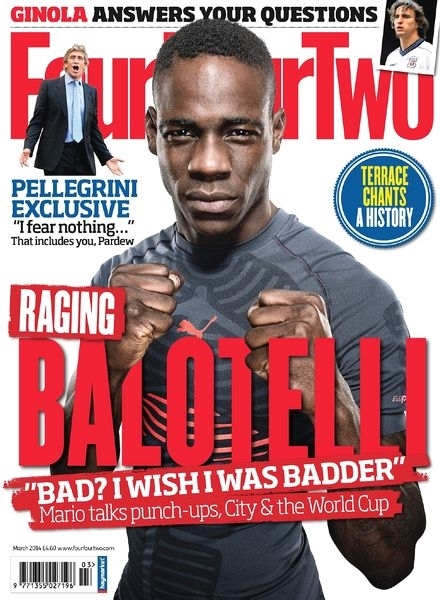 You can read the full Daniel Sturridge interview in the March 2014 edition of FourFourTwo magazine. With the 2014 Coerver® Coaching Youth Diploma courses in England under three months away, a record breaking attendance is already being predicted for this latest instalment of the highly rated coach education course which will be delivered by Coerver® Co-founder, Alf Galustian. 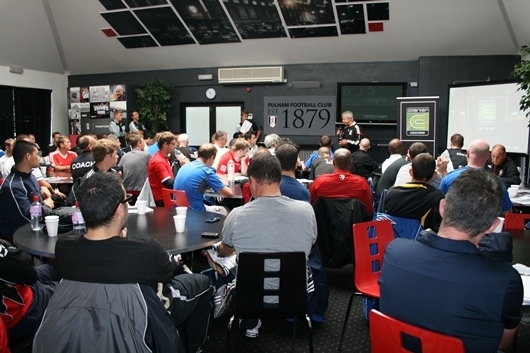 Following three hugely successful years since the course launched in 2011, the 2014 Youth Diploma, in association with global partner adidas® and presenting partner FourFourTwo magazine, will take place during May-June in Stoke (Stoke City FC), London (Fulham FC) & Birmingham (Birmingham City FC). Scott added “Due to the unprecedented interest from across the world that we have had in the 2014 dates in England, we now have limited places available for all three dates. We are advising anyone that wants to attend the course this year in England to book up as soon as they can as these are the only courses that will be available in the country this year”. How we can best nurture our talent in this country?. How we can best utilise our academies?. How can we channel football’s wealth back into grassroots?. The Times award winning team of journalists; Matt Dickinson, Oliver Kay, Matt Hughes and Rory Smith have travelled around the country to research the feature which is titled “For The Good Of The Game”. 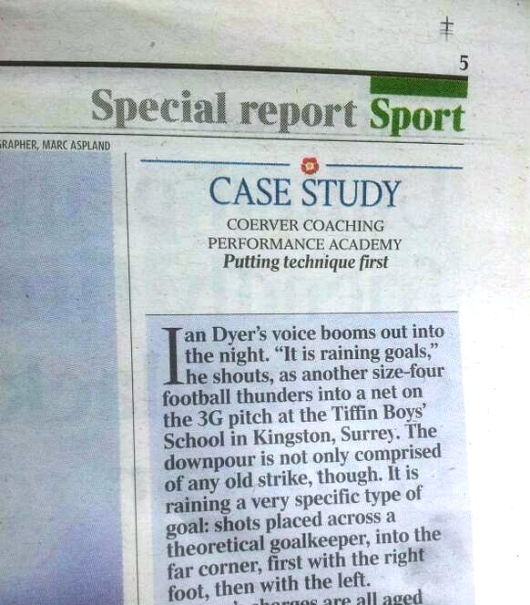 Times sports journalist Rory Smith visited the Coerver® Coaching Performance Academy in West London which was featured as a case study in Part three of the published series on Saturday 1st March 2014. Ian Dyer’s voice booms out into the night. “It is raining goals,” he shouts, as another size four football thunders into a net on the 3G pitch at the Tiffin Boys’ School in Kingston, Surrey. The downpour is not only compromised of any old strike, though. It is raining a very specific type of goal: shots places across a theoretical goalkeeper, into the far corner, first with the right foot, then with the left. 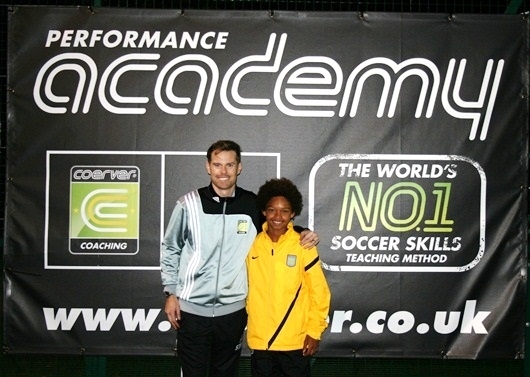 Dyer’s charges are all aged between 8 and 11, and they are part of the Coerver Coaching Performance Academy. About 30 are taking part in this 90-minute session and another couple of dozen, slightly older, will follow them later in the evening. All told, there is something in the region of a thousand children in the United Kingdom learning football the Coerver way. The core component, as laid down by Wiel Coerver, the movement’s founder, is on technique; what they call ball mastery. “Skill is the foundation for everything,” Amit Sohal, Coerver’s regional director in West London, says. The system – briefly – works as a set curriculum. Each module – ball mastery, one against one, speed, finishing – lasts six or seven weeks. Each builds on what went before and each becomes more difficult, Everything is done with both feet, and almost everything with the ball. Every week the children are given a new “move” to learn at home – a feint, or a ball technique – before refining it under the watchful eye of a coach. It is broken down into its constituent parts, practised in isolation and then in situations of increasing pressure. At the end of every session, the children give feedback, explaining what they have just learnt. There are twice-yearly evaluations and half-term camps; parents and children alike can track their progress online. If it all sounds new-fangled, it isn’t: Coerver is celebrating its 30th anniversary. Arjen Robben, is the most famous product of the system, but Peter Crouch and Daniel Sturridge both have some experience of it too. Gerard Houllier attributed the growth of France’s golden generation to the adoption at Clairefontaine of some Coerver principles. In Japan, 18,000 children are enrolled and some 350 professional players owe their careers, in part, to it, after its wholesale introduction in the 1990. “There is greater emphasis on precise technical ability here than in professional academies, I think,” Dyer says “Here, we think only about development”. 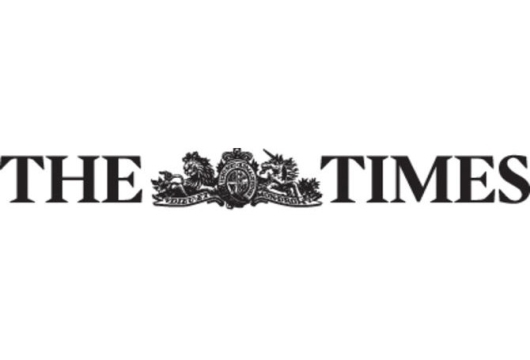 Coerver® Coaching UK Director, Scott Wright, added “It is great that such a respected publication as the Times wanted to feature our Performance Academy programme within their research into youth development in the UK”. “The initial concept behind our Performance Academy programme was to provide professional grade support to all young players that want to learn. We wanted to bridge the gap between grassroots football and professional academy football with this programme and it has proved to be highly successful since it’s launch six years ago”. “There are various levels within the programme that cater for the individual needs of the players that are with us. We have players that want to be better within their grassroots environment, we also have grassroots players that may have the potential to step up to academy football”. “We also work with academy players that have been released and want to get back into that environment and we also have current academy players that want additional specialist technical training”. “Although we have many individual needs to cater for within our Performance Academy, the focus of our development programme is the same for all players. We want to develop confident, skilful, creative players and we want to make the game fun to practice and play”. “Over time with lots of hard work, dedication and expert teaching, our aim is to develop players who are are masters of the ball with both feet and have the ability to perform all of the skills that we work on effectively in the game at speed, under pressure and in tight spaces both individually and in small groups”. Scott (below image with Matty H, Performance Academy player being signed by Aston Villa FC) added “Our focus is different to that of a team based environment, we don’t run teams, we are improving the individual for the team that they play for, like personal training for football”. “This is the difference between our programme and other programmes out there, we are all about developing the individual and providing what they need at any given point in time to maximise their development potential”. “As well as being responsible for developing each player’s skill on the pitch, we are equally committed and in our view responsible to assist in their development as people. Instilling a hard work ethic, confidence, self-responsibility, communication, team work, and respect are all areas that we look to encourage within our environment which are all applicable to football but also away from football”. “This is delivered through “The Coerver Code” which provides a structure to our development programme both on and off the pitch and is something that Coerver Coaching founders, Alf Galustian & Charlie Cooke are very passionate about in terms of not only developing football skills but life skills as well”. “So Performance Academy is not just football training, we view it as a football education programme that looks to develop the whole player/person and we believe that our programme can have a big impact on youth development here in the UK, now and in the future”.